Pilotage is compulsory for all vessels over 35 metres Length Over All (LOA) transiting Port of Melbourne waters, except for vessels whose Master holds a current Pilot Exemption or Local Knowledge Certificate for port waters. Pilotage services at the Port of Melbourne are provided by Port Phillip Sea Pilots Pty Ltd, 24 hours a day, every day of the year. Pilots require 24 hours’ notice of arrival at the Pilot Boarding Ground and a minimum of three hours’ notice for departures or removals for ships at Melbourne anchorages. 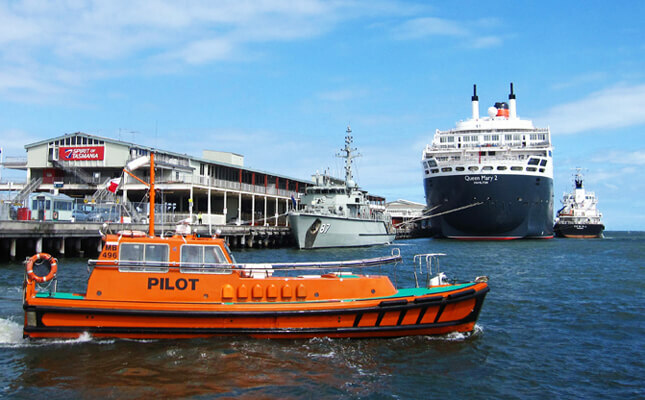 For more information on Pilotage services and bookings, visit the Victorian Ports Corporation (Melbourne) website.